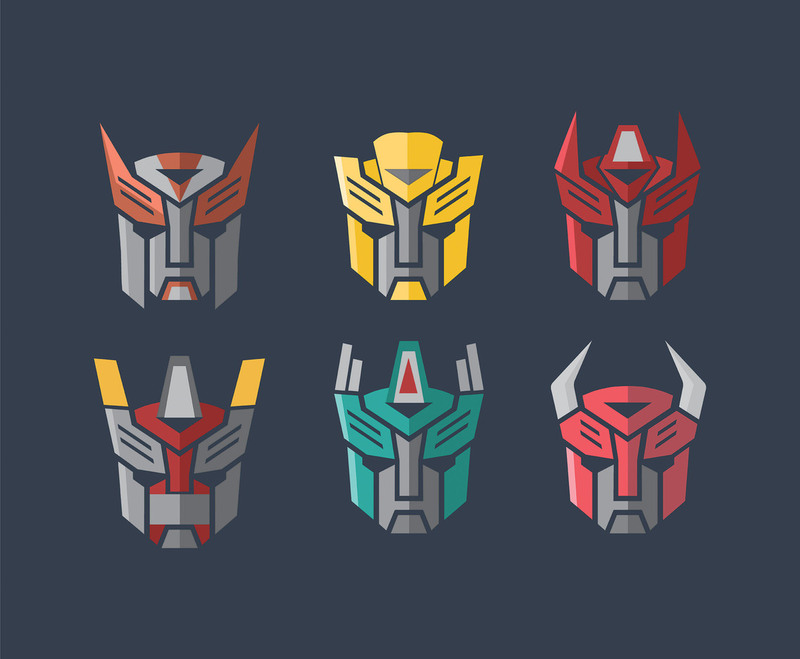 Here are six icons of autobot heads depicted in a dark background. I hope it's useful for your project. Enjoy!